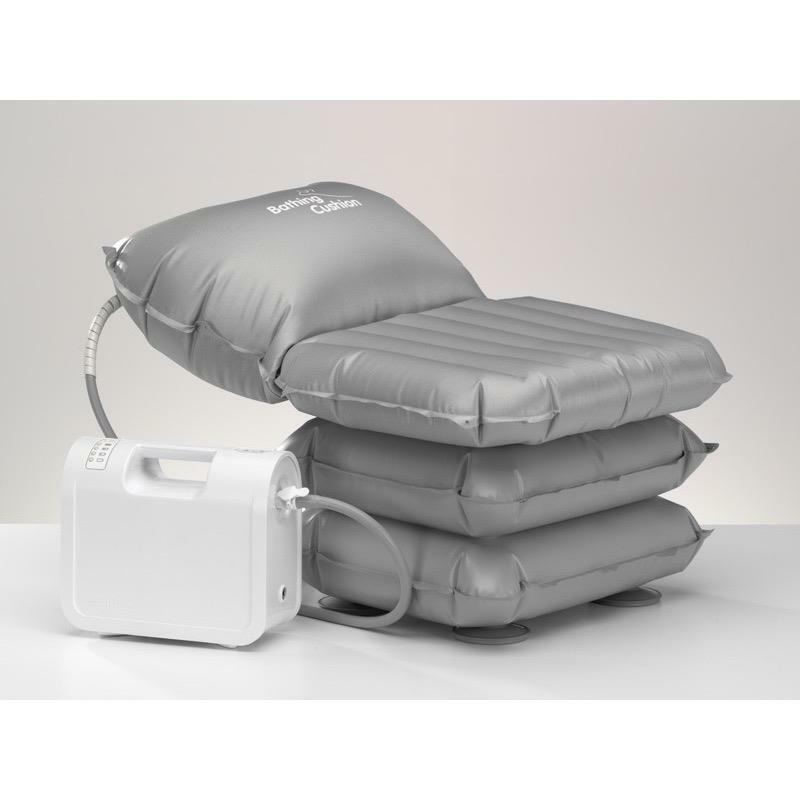 The Mangar Bathing Cushion Bath Lift is a powered inflatable and deflatable bath lift which gently lowers and raises you into and out of the bath. Free UK Delivery. The Inflatable Bathing Cushion is an innovative bath lift designed for people who have difficulty in getting into and out of the bath. This bath lift is ideal for those who have reasonable upper body stability. 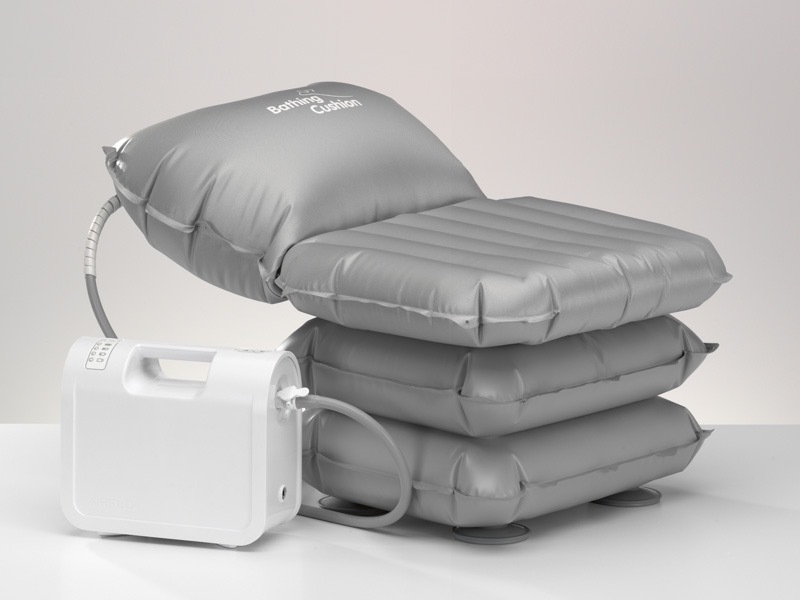 The Inflatable Bathing Cushion will lower you into the bath and lift you back out as needed, using the fully waterproof Airflo compressor control buttons. When lowering into the bath you can choose to keep a small amount of air in the cushion to provide additional support and comfort, or release all the air to lie back maximise room in the bath.When you have finished bathing, simply re-inflate the bathing cushion to gently lift you back up to the level of the top of the bath. 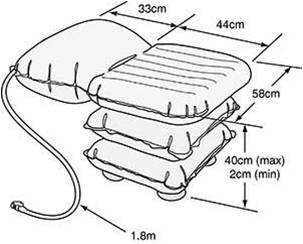 The Bathing Cushion comes with an air tube on the right hand side as standard. Portable, compact and lightweight - take it on holiday! Will not lower you into the bath unless there is sufficient power in the battery to raise you back out again.